A salt sauna balances the damages caused by negative living conditions and it improves many body functions to certain extend. Staying in the sauna relaxes you physically and psychically, improves the mood, increases a body resistance, cleans, makes a detoxification, increases a body defence and strengthens. The suitable conditions for halotheraphy or salt ionization are created in a sauna thanks to the use of halit (from Greek halos = salt) and sea solution. 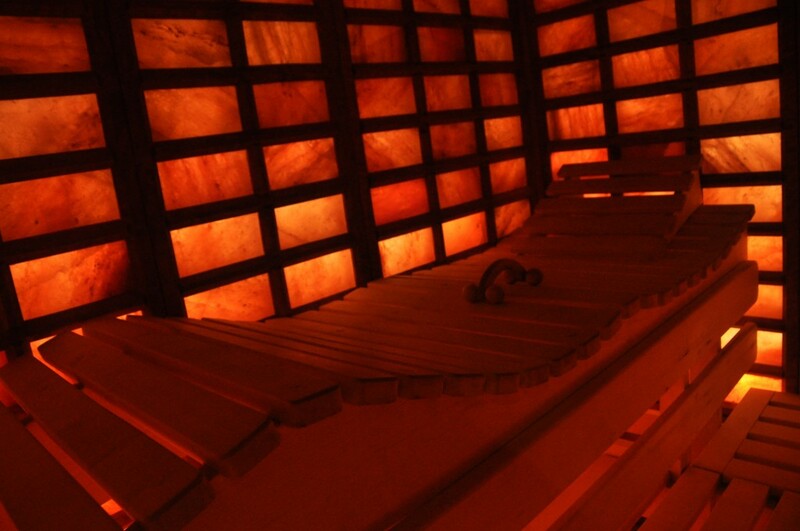 We absorb minerals from salt as calcium, bromid, magnesium and iodine in a salt sauna. These elements are were important for sore throat preventions and also as a prevention for neck, lungs, larynx, windpipes inflammations and agains allergies. Salt sauna walls are covered by the highest quality salt which is sorted for you in a salt mine due a size and colour and which has a relevant influence on your health and mood.